THE HOUSE SCIENCE COMMITTEE JUST USED GLOBAL WARING TO ….. CHALLENGE GLOBAL WARMING? | "Global Possibilities"
Home » Climate Change » THE HOUSE SCIENCE COMMITTEE JUST USED GLOBAL WARING TO ….. CHALLENGE GLOBAL WARMING? THE HOUSE SCIENCE COMMITTEE JUST USED GLOBAL WARING TO ….. CHALLENGE GLOBAL WARMING? 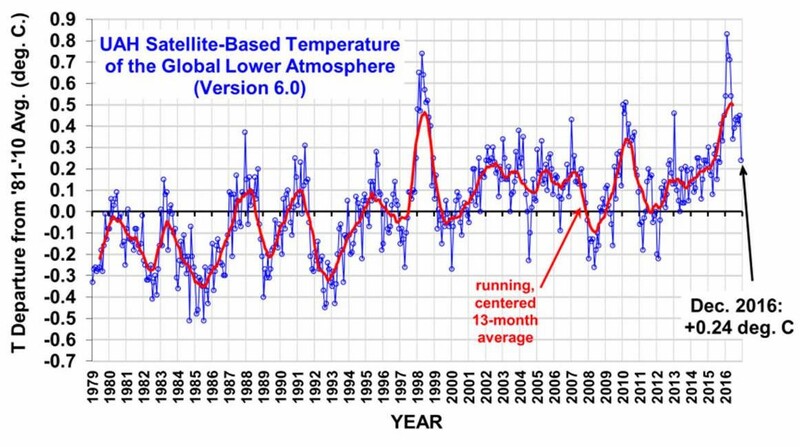 The latest satellite data analyzed by the University of Alabama at Huntsville (UAH) confirms the globe keeps warming, as the chart above clearly shows. They were particularly confused, it appears, by the headline they link to — “Global Satellites: 2016 not Statistically Warmer than 1998” — from UAH scientist and meteorologist Roy Spencer. So rather than, say, providing the public the best science, Spencer sees his “job” as persuading the public not to support efforts to reduce carbon pollution. So it’s no surprise that Spencer chose such a misleading headline, despite the fact that his own chart’s running 13-month average clearly shows that temperatures are rising. 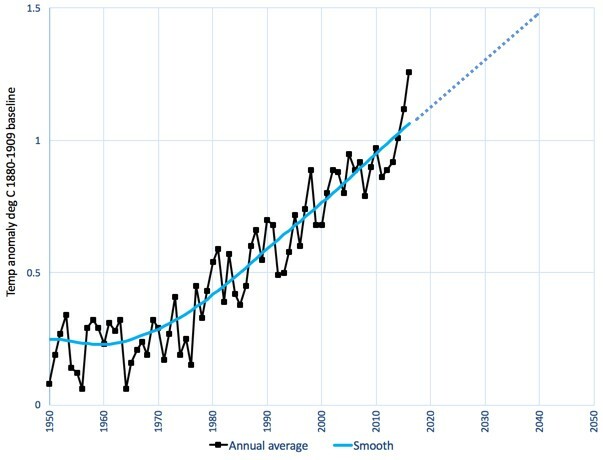 The Science Committee’s in-house Tweeter apparently isn’t a big reader, or else they would have seen Spencer’s list of “the 38 years in the satellite record, ranked from warmest to coolest” where the hottest years are all after 1997 and the coldest years are all before 1994. NASA surface temperature data, via Geophysicist Andy Skuce. Why does the NASA data show faster warming? Remember, NASA’s data directly measures the temperature at the surface — where we live. The satellites indirectly measure the temperature of the lower atmosphere, where we don’t. As an aside, the responses by actual scientists to this inane tweet are a must read. As ThinkProgress has reported, most of the GOP members of the House Science Committee “reject the science behind human-caused global warming.” So it’s no big surprise they are chart-challenged. But in a few weeks, our anti-science, pro-pollution Congress will be joined by a like-minded president and Cabinet. The threat to the health and well-being of our children — and the next 50 generations — will be greater than it has been in recent memory.